of this, £100m transitional fund for to help the voluntary and community sector adjust to new public spending budgets. councils in England will face cuts of more than 28%, but they will have greater powers to borrow. How will this play out in the localism agenda? £1 billion will be taken from the "protected" NHS budget in England to help meet the costs of social care. How might this affect changes to care and carers? existing social housing tenants' rents will be unchanged but new tenants will be offered intermediate rents at around 80% of the market rent. Mr Osborne forecasts this will allow the building of up to 150,000 new affordable homes over four years. How will more homes affect climate change? the state pension age will reach 66 in 2020, four years earlier than planned. See what this might mean, in light of our ageing population. the green investment bank promised by the coalition will receive £1 billion in funding, half of what was expected and a sixth of the amount many say is needed. How does this relate to the green taxation agenda? "There needs to be a dramatic shift in the balance of power from the central to the local"
Chancellor: "A total of £2 billion additional funding for social care to protect the most vulnerable"
If you want to know what the spending review could mean for your area you can find it here. What do some in the sector say about the cuts? 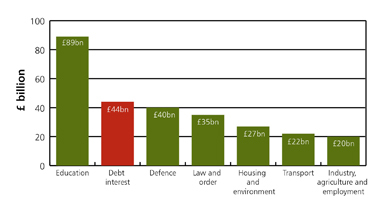 "Despite the continuing rhetoric that spending cuts will be fair the Chancellor's announcements today are anything but. Local government will lose 28% of its funding over the next four years, compared to just 14% reductions to the royal household, and this will hit disabled people and their families particularly hard." "David Cameron and George Osborne deserve real credit for their promise to stick to Britain's aid promises during these difficult economic times. The coalition has taken the tough choice to prioritise the poorest people on the planet during the bad times as well as good." Well this will all be clearer when details are released in the weeks and months that follow, as departments settle into their newer, tighter belts. NCVO has been crowdsourcing the cuts so far for a while. Have a look at their spreadsheet You'll be able to see who's been affected so far. Maybe it's someone you work with? Or someone else who does what you do - does this indicate a potential threat for you? Karl, NCVO's head of research has some pointers on how to reduce your spending. Make yourself more cost-efficient and funders will always look more warmly on you! And there's a resource-packed page on the NCVO site -Coping with Cuts: Practical Advice Guides. It has great guides on a range of issues like How to reduce waste or Demonstrating your impact. Finally, if you feel you need more interactive support - have a look at NCVO's offer for consultancy on getting ready for cuts. Sorry, this topic is locked. You may not add a new post.